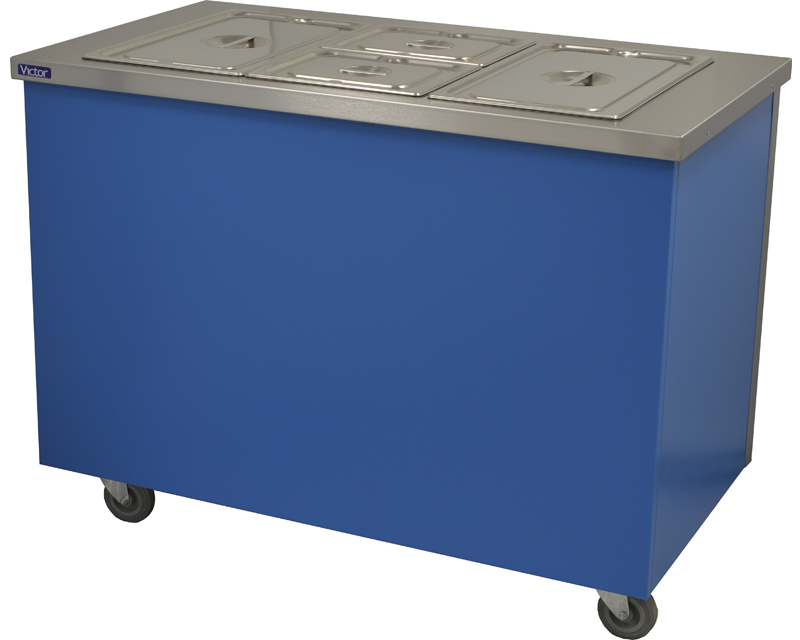 GN1/1 gastronorm compatible dry heat bains marie, mobile hot cupboard unit. 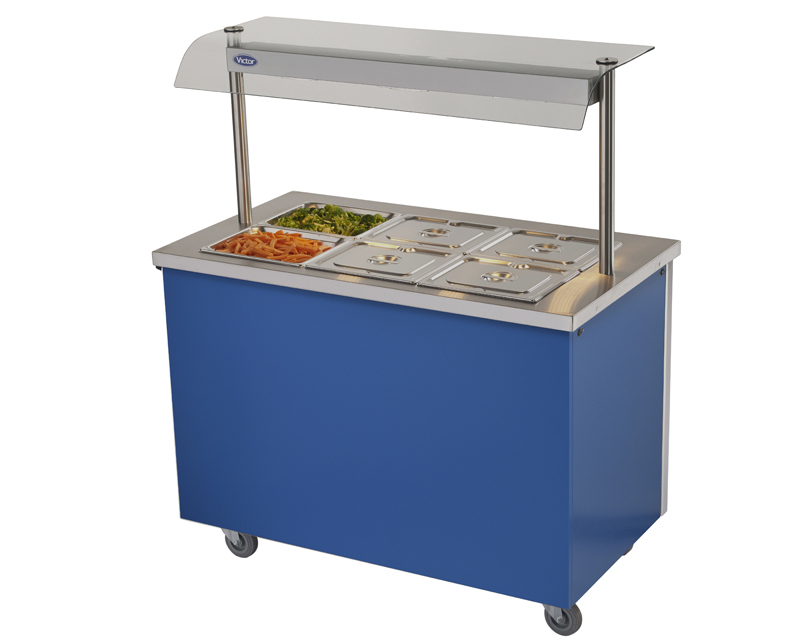 Ideal for general purpose usage in all catering establishments, schools & colleges, residential care homes, pubs, hotels and cafes. Top: Stainless Steel, Exterior: Coloured plastic coated steel or Stainless steel. Interior: Galvanised steel. Top level recessed independent adjustable controls. 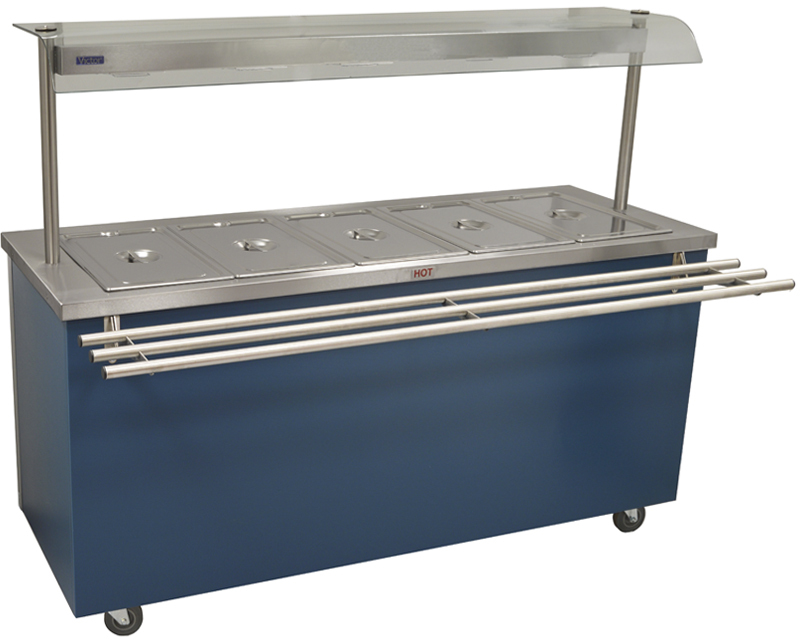 Tiled, glass or carvery inserts.